University Camilo José Cela has organised and hosted the final of the 3rd CICAE-UCJC Pre-university Debate League. Nearly 300 students from 30 schools participated debating in Spanish and English. The CICAE-UCJC Pre-University Debate League was created with the purpose of fostering interest and learning among school children in effective communications, argumentation and developing critical thinking. Therefore, experts from the UCJC Debate Club visited competing schools to provide training to students. Participants were given two months to prepare arguments on the designated debate topics. The students, from year 3 ESO to year 2 of Bachillerato, had to research different perspectives on each topic, since, minutes before the start of each debate, lots were drawn to designate whether the team debated for or against. In the first tournament there was a debate about whether social media is positive for 21st century society and, in the second, on whether immigration is positive for the economy of European countries. 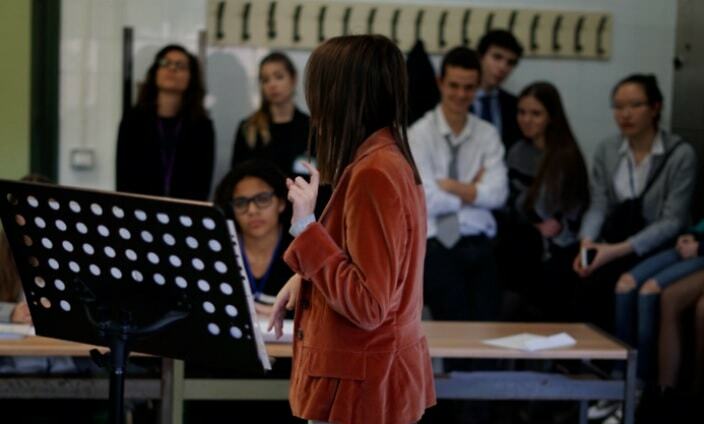 Debates and model United Nations events, such as those organised by SEK International Schools and UCJC – SEKMUN and MiMUN respectively – are gaining acceptance among the universities and schools in Spain, since they are an opportunity for students to acquire communications, debate, teamwork and critical thinking skills. The increasing popularity of this kind of debate event also means an increase in the demand for judges of this type of tournament, who evaluate and decide the score of the teams in this type of competition. For this reason, the UCJC has launched the ‘Debate Judges Training Course’, aimed at training in the development of skills and competencies essential to develop the work of judges in debate leagues and has awarded 20 scholarships so that the finalists may study it.